This year marks 5th year since K-pop behemoth BIGBANG hold its first Tokyo Dome concert. Earlier on December 6-7, BIGBANG held its concert ‘BIGBANG JAPAN DOME TOUR 2017 -LAST DANCE-‘. This year is their 5th year holding a concert in Japan’s one of the renown concert dome. According to the reports released, there were 110,000 fans who attended BIGBANG’s Tokyo dome concert. After adding upcoming concert on December 13, a total of 165,000 fans are attending the concert. Tokyo Dome has a lot of meanings for BIGBANG. In March 2008, BIGBANG held its very first concert ‘Global Warming Tour 2008’ in JCB Hall in Tokyo Dome, where they also announced the start of their overseas promotions. Then 4 years later, BIGBANG held their world tour ‘ALIVE GALAXY TOUR 2012’ at the main part of the dome, bringing much attention as there were not many K-pop artists hold a concert in the dome. ‘Without resting, BIGBANG has held their Tokyo Dome concert for five years now, even fans in Japan consider them as a special group. This year is reportedly going to be the ‘last concert’ for a while, as a few members plan to go to the military. For their Tokyo Dome concert, BIGBANG set mega-size LED screen bringing trendy atmosphere to the stage. They performed to ‘HANDS UP’, ‘SOBER’, ‘WE LIKE 2 PARTY’, as well as each member’s solo tracks ‘Untitled’, ‘WAKE ME UP’, and ‘COME TO MY’. BIGBANG is expected to hold more concerts in December 13 in Tokyo Dome, December 21-24 at Osaka City Dome―bringing 696,000 fans to the concert. Then on December 30-31, they will hold a final concert in Gocheok Sky Dome in Seoul. Taeyang Attends Dance Battle in Disguise + Gears up for Enlistment? Woww..that a lot of audiences..one person can watch one video multiple times..but only one person per seat for a concert..it proves that group really strong..to attend one concert,it need money..especially if it expensive.. I wonder how many audiences for bigbang dome japan last dance? 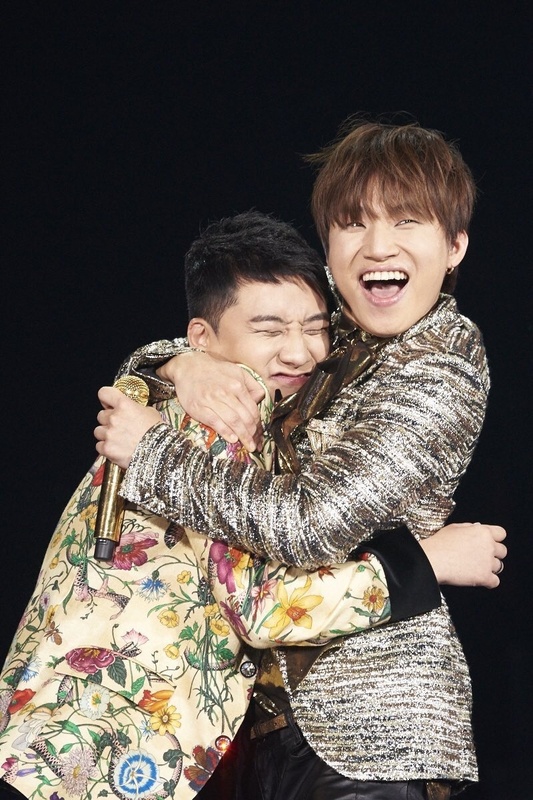 seeing that Daesung is quite a soft spoken person, i really wonder if he has ever told Seungri off..
Loving all of this! Enjoying each moment they are together and in stage! And they will do it again once everyone returns from duty. Congrats to our boys on another sucessful tour! these are such great pictures!! are they from YG’s official photographer?